June 10, 2015 – Bardstown Barrel Selections partners Dave Schmier and Michael Kanbar have agreed to sell their company, including the Redemption brand of Ryes and Bourbons, to New York-based Deutsch Family Wine & Spirits for an undisclosed amount. The deal covers the Redemption Rye, Redemption Bourbon, and Riverboat brands, along with a white whiskey, limited edition bottlings, and their entire inventory of casks. Deutsch eventually plans to take the Redemption brand nationwide as inventory allows, and has completed a new long-term supply contract with MGP-I Distillery to supply bulk whiskey for the brands. The partners started looking for equity investors, and their talks with Deutsch led to a sale of the entire company. The family-owned business has been primarily focused on wine with a limited spirits portfolio, but had been looking for a way to enter the whiskey market for the last two years. Deutsch president Tom Steffanci said in a telephone interview that Redemption met all of the criteria he uses when evaluating an acquisition, including quality, scalability, reputation, and value for the consumer. 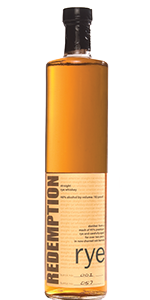 The company’s goal is to keep Redemption’s flagship brands priced at around $28 per bottle depending on individual markets, while eventually expanding supplies enough to make it a national brand. The partners will work with Deutsch through the transition for at least a year, though their long-term plans are unclear at this point. Kanbar continues to own and operate Strong Spirits in Bardstown, while Schmier will continue with his series of Independent Spirits Expo whisky events in New York and Chicago. Editor’s note: This story has been updated with additional information following interviews with Dave Schmier and Tom Steffanci of Deutsch Family Wine & Spirits.